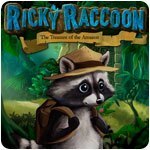 Ricky Raccoon Game - Download and Play Free Version! 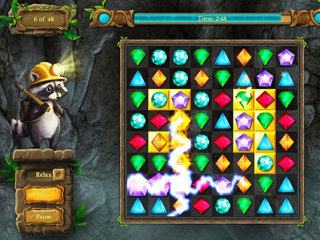 Treasure hunt with Ricky Raccoon! A big trip for a small raccoon! 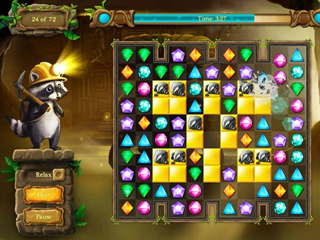 In this lovingly crafted and colorful Match-3 adventure you travel all the way to the Amazon River. You'll accompany Ricky Raccoon. This young raccoon is going to embark on his very first treasure hunt! Luckily, Ricky's grandpa, a notable and famous treasure hunter, is going to join you, too. Will they ever find the long-lost Aztec treasure?